Coloreel an innovative Swedish company recently successfully launched world's first instant thread coloring unit at Avantex. Coloreel technology is a groundbreaking thread coloring unit for industrial embroidery machines. The thread coloring unit will change the business of industrial embroidery. By instantly coloring a white base thread during the embroidery production, Coloreel enables complete freedom to create unique embroideries without any limitations in the use of colors. The product launch of Coloreel’s instant thread coloring unit and the included colorization software Coloreel Studio got a curious and overwhelming reception at Avantex. Over a thousand visitors came by the Coloreel stand to learn more. Embroidery producers, digitizers, designers and apparel manufacturers including high-level brands were very impressed by the Coloreel unit and many requests to buy the revolutionary product were made. "I feel proud and happy, all the visitors were impressed, both the ones we have had contact with earlier and the new ones we meet for the first time. We have every feature people ask for in the Coloreel unit and that feels great," says Magnus Hellström, VP Sales & Marketing at Coloreel. What is the Big Deal of Coloreel unit in embroidery industry? Coloreel provides the possibility of making fantastic embroideries with amazing quality. The customers will be able to create new unique embroideries that no one has seen before. Coloreel offers improved logistics because the customers will only need one thread, but can get unlimited colors. Embroidery production speed will increase for producers with no trims needed for the color changes. Coloreel reduces waste of resources by only producing the thread you need and minimizing water usage. 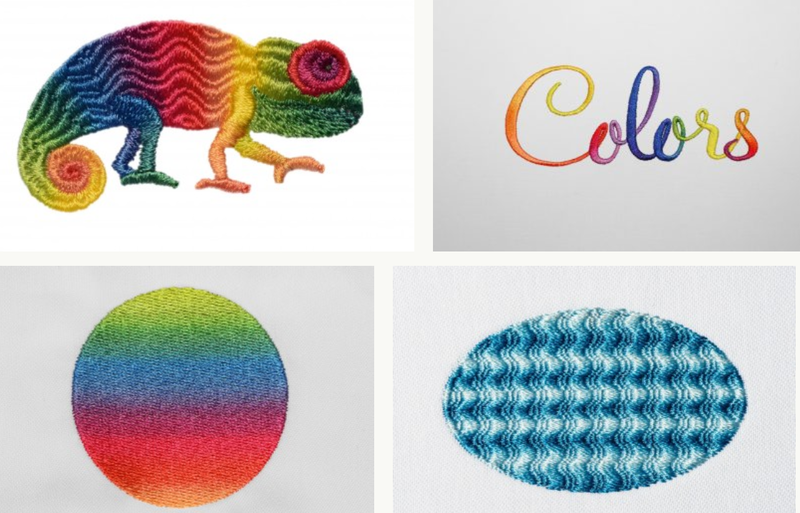 "We have the whole package, a unit that colors thread instantly in a more sustainable way and a colorization tool to create amazing embroidery designs. It is now clear; we will truly revolutionize the whole embroidery industry," says Mattias Nordin, CEO at Coloreel. Shipping of the Coloreel units to customers in Europe will start at the beginning of 2019 with the USA following. The next step for Coloreel is to broaden the distribution in a very quality assured and service-oriented way. The product launch of the instant thread coloring unit was a clear indication that the whole world is longing for this product. Development of innovative instant embroidery thread Coloring unit by a Swedish company.